Now that summer is here, I finally have time to pick up one of my favorite hobbies again – road biking! 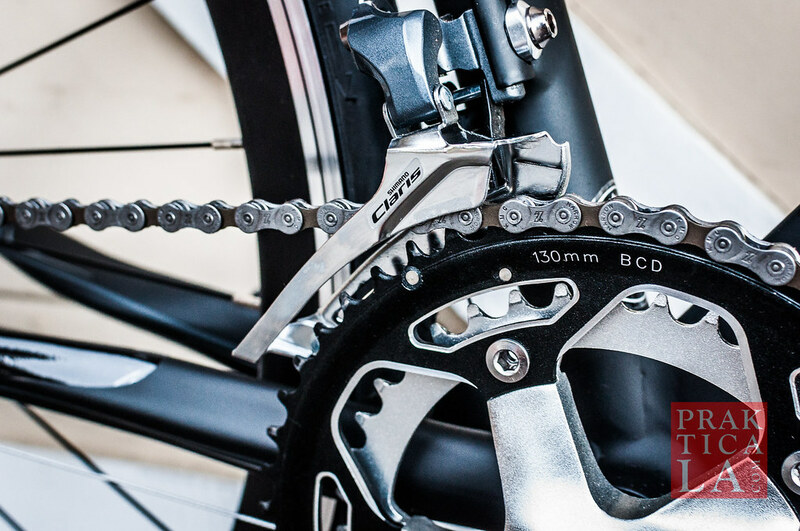 For the uninitiated, road biking (or cycling) is an exhilarating combination of exercise, speed, mechanics, and the outdoors – all my favorite stuff! 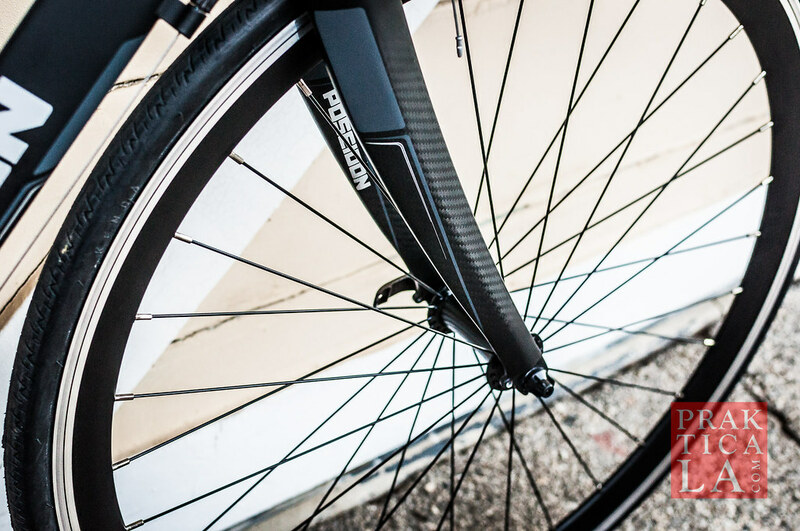 While I already have my killer Motobecane LeChampion CF Rival (review coming soon), I was fortunate enough to get my mitts on a Poseidon Bike 4.0 for review – check it out! 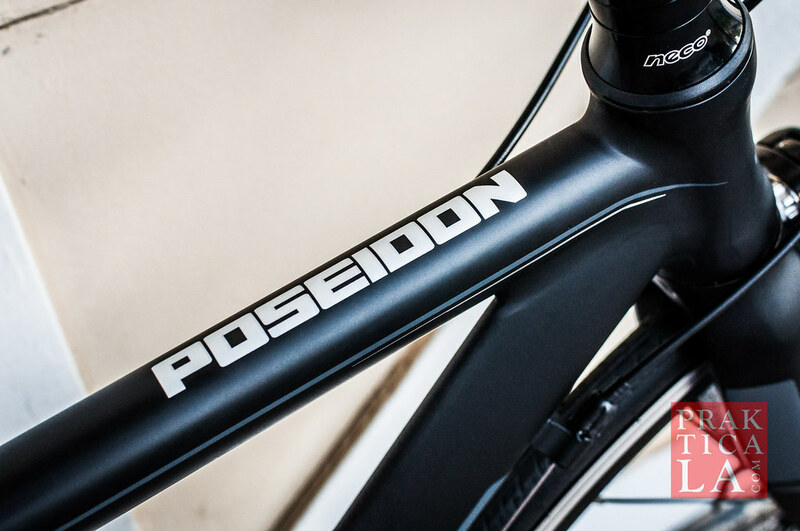 EDIT: We were able to get the new Poseidon Triton road bike for review – see our impressions here! For those just starting out with cycling, the sticker prices on some road bikes might come as a shock – even a halfway decent “entry level” road bike can easily run $800-$1,000. What the?! Can’t you just get a $100 bike at Walmart? Well, you can, but it will be super heavy, crappily welded steel, with janky components that will jam or break in less than a year. Not fun to ride and definitely not something you’d entrust with your life. 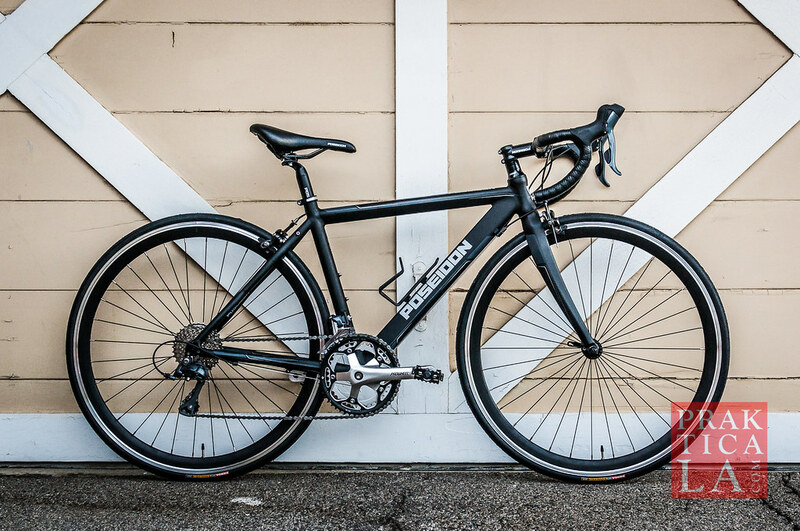 Poseidon attempts to disrupt the industry, providing a high-quality road bike at a budget price of $499. This would be in keeping with the modern startup business model (e.g., Tuft & Needle’s mattress) which produces one solid product that is “good enough” at a great value rather than several products across different customization and price levels. 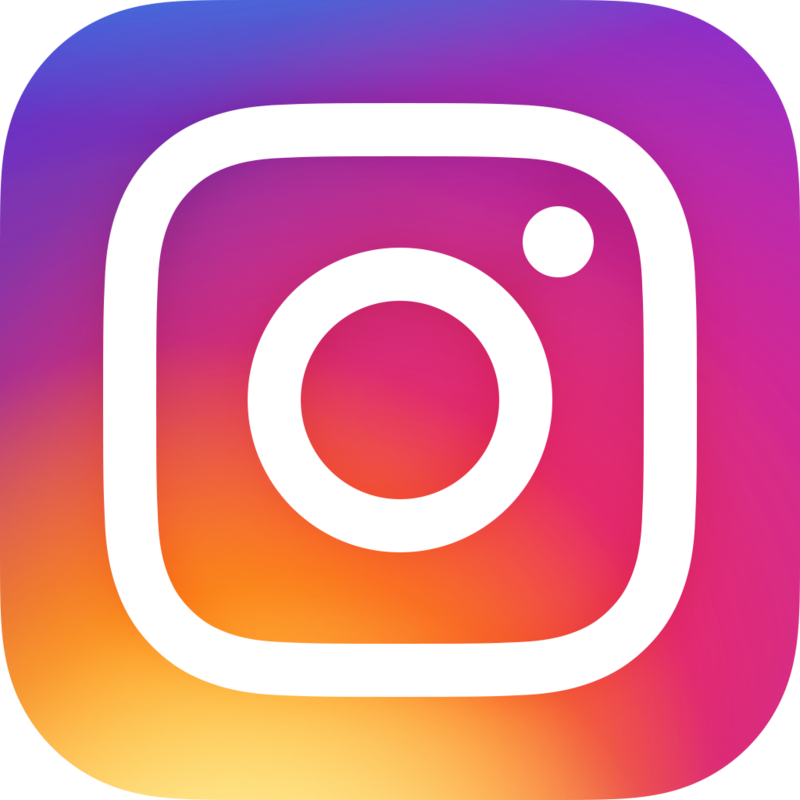 The resulting cost savings often allow that one product to be priced much lower than their competitors who have to manufacture many product lines at greater expense. First off (and to many, most importantly), the bike looks cool. 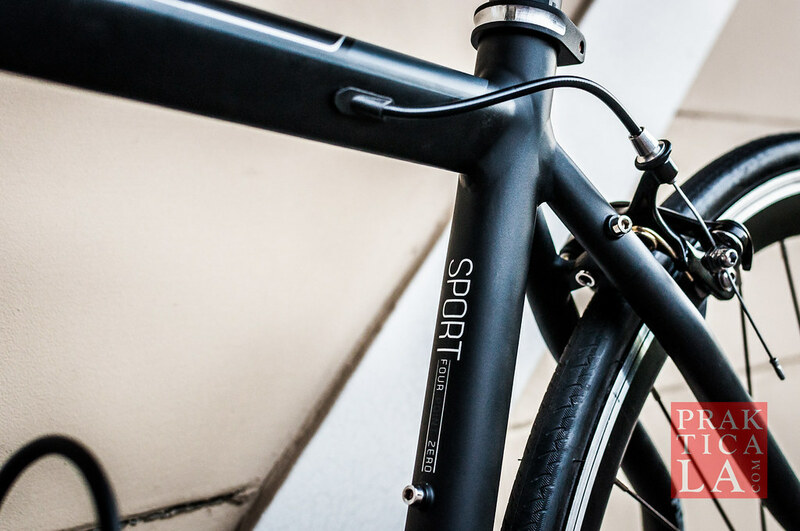 It’s almost completely covered in a matte black paint job, with a simple and tasteful logo and subtle gray accents. Since it only comes in one color, this was a smart move. Black is perfect for personalizing with your own touches; some bright-colored bar tape, rims, bottle cages – any accessory, really, in any color – would look super cool. Note the smooth welds at the joints. The aluminum frame has smooth welds for a streamlined look. No messy, crinkly welds here. 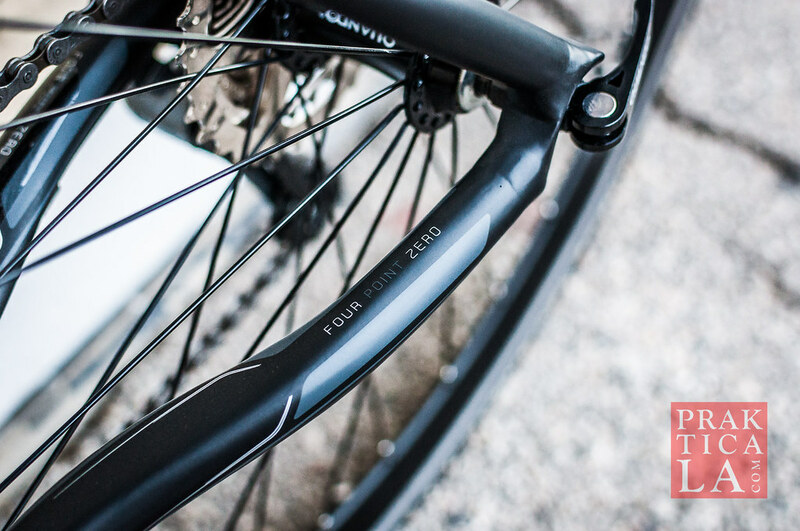 Aluminum is much lighter (and pricier) than department store steel, while still being more affordable than carbon fiber, the king of frame materials. 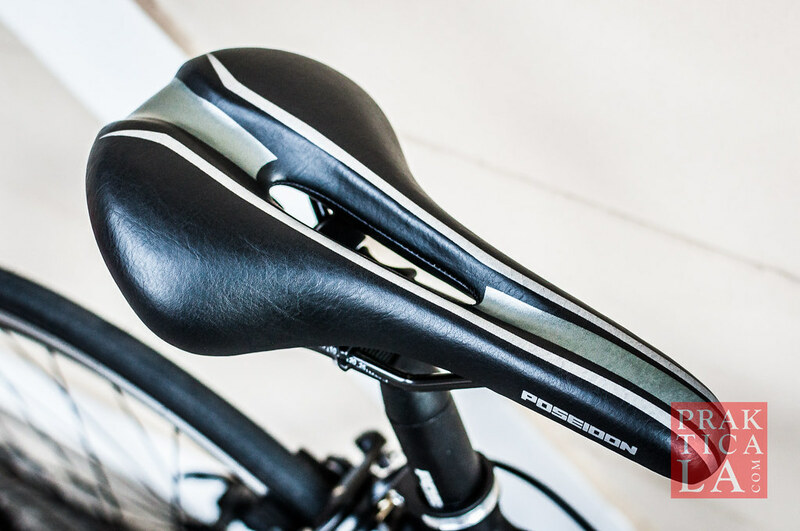 The Poseidon bike does have a carbon fiber fork, for weight reduction and shock absorption – again, something you typically would only find on a much higher-priced bike. 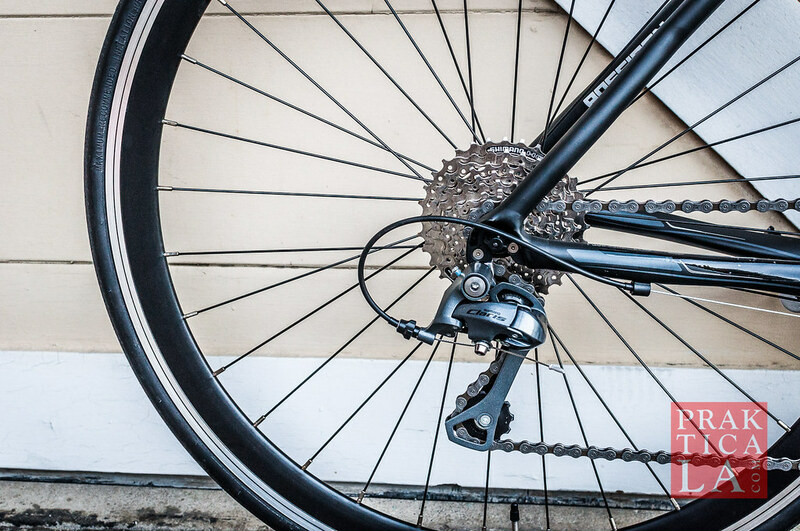 The Poseidon Bike 4.0 carries the Shimano Claris STI system, with integrated brake/shift levers and Claris front/rear derailleurs – two sprockets in front and an 8-speed cassette in the rear for 16 speeds total. While Claris is an “entry level” STI system (integrated brake/shift levers), most road bikes at this price won’t have an STI system at all. I used to ride a sweet Felt F85 running Shimano 105 (which is a few tiers up from Claris and costs way more) and while the 105 does provide a very clean shift, these Claris shifters are plenty quick as well. If you are non-pro you will hardly notice the difference. As one of my cyclist friends put it: “But does it shift? ?” It sure does. And 16 speeds are more than enough – you will probably end up using less than a dozen of them anyway. For pedals, you get some standard platforms, which you can always switch out once you decide to go clipless. 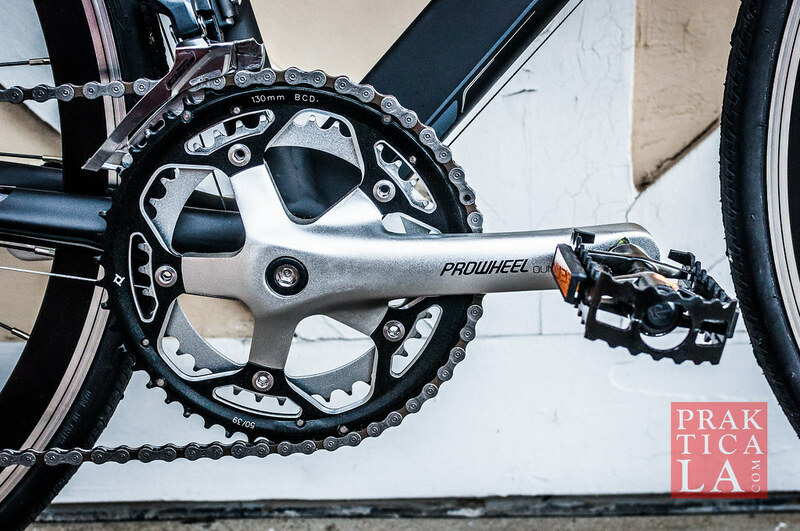 Besides the Kenda racing tires, Quando hubs, and Prowheel crankset, the rest of the components (wheels, brakes, seat, stem) are unbranded or Poseidon branded. I assume they will hold up well, but I’d have to ride one long-term to tell for sure. Spinning around the neighborhood was a breeze, and shifting was functional and consistent. At 24 pounds, the bike rode every bit as well as the aforementioned Felt bike and I can tell you the Felt bike would’ve cost me well over $1,500. The bar tape looks cool, but is skimpy on coverage and comfort. 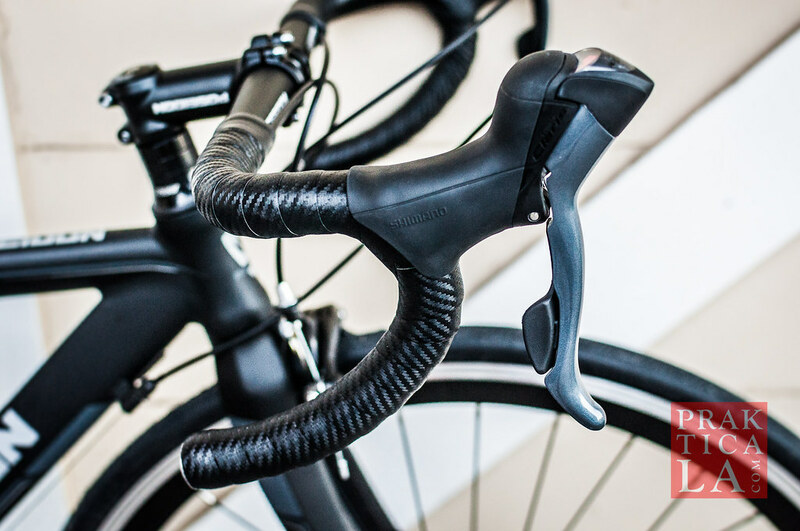 Minor gripe: the handlebar tape is thin and hard, and insufficiently covers the bars. This is the one thing Poseidon went cheap on that I can actually notice, and would be the first thing I would upgrade. Or better yet, they could spend a few more bucks for some nice cork tape in the future. It just seems out of place to have flimsy tape because the rest of the bike feels pretty high end. I reached out to Poseidon several times for their assistance in partnering with me for this review, and they never got back to me. Up-and-coming brands almost universally deliver superior customer service as a way of differentiating themselves from established competitors, so the fact that they didn’t even answer my emails was a huge surprise. Thankfully, I was able to reach out to a fellow rider and obtain this bike for review, and my LBS (local bike shop) was able to answer all of my questions. Still, I was disappointed by the company’s lack of attentiveness to a potential customer. 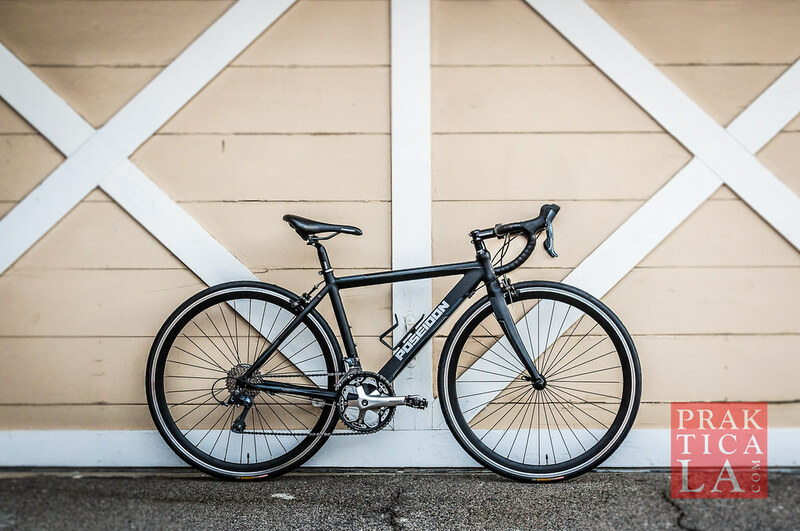 While the Poseidon Bike 4.0 is super stylish and great for commuting or puttering around town, it is totally legit enough to hold its own in a long-distance ride or race. I’ve done a few century rides (100 miles) and would be more than happy to take one of these for the haul. 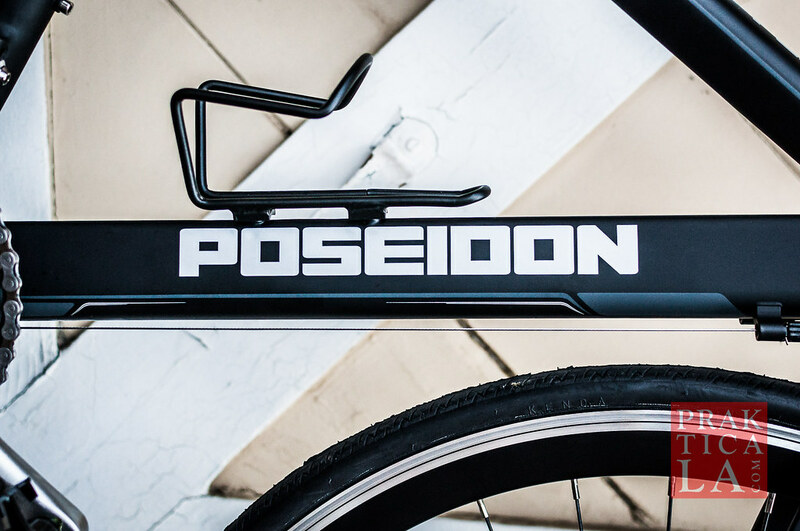 If you live in Socal, you should be able to find a Poseidon bike at your LBS. If not, don’t fret – you can also order it online in your size: XS (49cm), SM (52cm), M (55cm), L (58cm), or XL (61cm)! PROS: Looks great, rides great. Construction and components (aluminum frame, carbon fork, Shimano Claris shifters) are comparable to an $800+ bike. More than enough for 95% of cyclists. Lifetime warranty on frame. Based in Socal. CONS: Matte paint looks awesome but smudges easily. Inferior bar tape. Disappointing customer service. My impressions of the Poseidon bike are positive, but I need to put it to long-distance trials to test its durability, which hopefully I’ll get the chance to do someday. If you’re just getting into road biking, or are looking for a road bike on a budget, for $499 you get a whole lot of bike for your money. You can buy it from Amazon here. 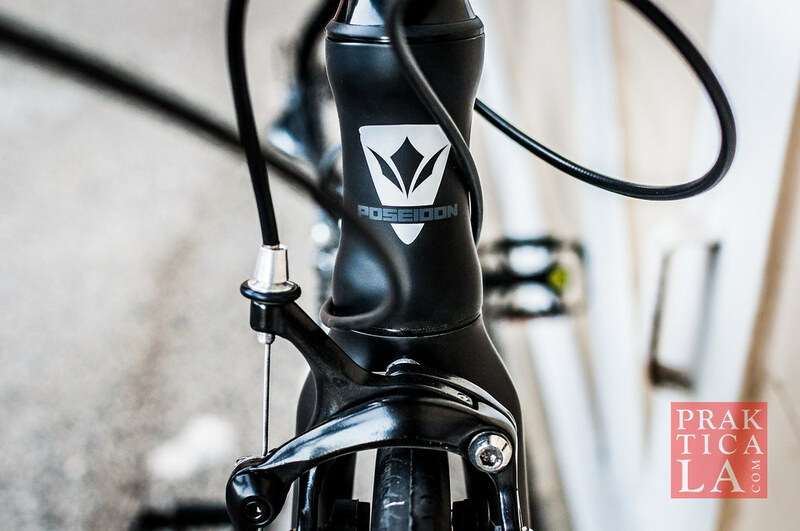 Have you tried the Poseidon Bike 4.0? What are your impressions? Let us know in the comments! Previous PostHamilton Khaki Navy Sub Automatic Watch Review H78615135Next PostGrown-up Questions: Backpack or Briefcase?